The CalGang Audit: Lessons Learned for Law Enforcement. CalGang is a California statewide database that law enforcement agencies use to store and disseminate information about gang activities and suspected gang members. The system has been in place for more than ten years, but has remained largely hidden from public scrutiny. 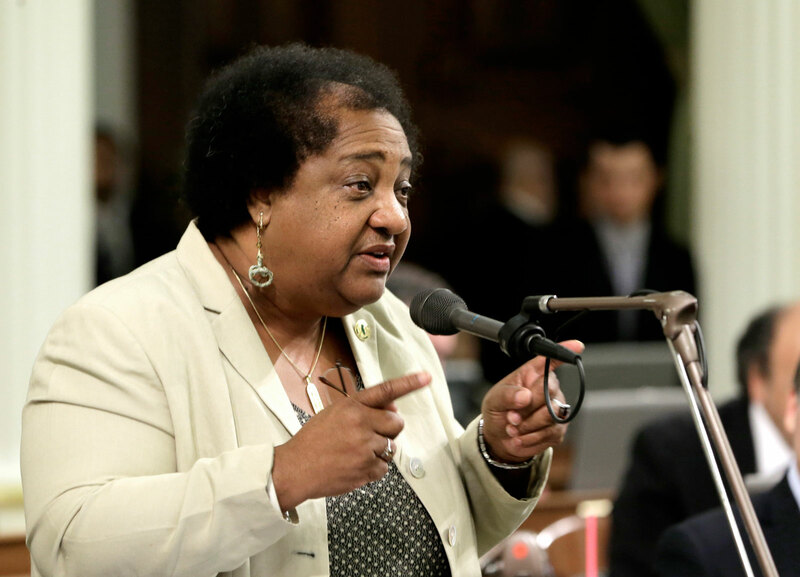 Shirley Weber, a California Assemblyperson has been working diligently to make CalGang more transparent, and her efforts have recently begun to pay off. Last year, Ms. Weber requested an audit of the CalGang system. The database contains activities, addresses, names, aliases and other information related to people that are either known gang members or affiliates. According to an article by The San Diego Union-Tribune, the database has approximately 150,000 entries. California law enforcement agencies are not obligated to notify individuals whose names appear in the system, unless that person is a minor. The average length of time that an individual had existed in CalGang was approximately 5.5 years. CalGang can be accessed only by law enforcement officials for legitimate reasons only, and only on a need-to-know basis. The CalGang audit requested by Ms.Weber was released in August of this year, and reveals that the database may contain a significant number of errors including the presence of dozens of individuals who were less than one year old when first added to the system. The audit also showed that hundreds of individuals that ought to have been removed from the system were, in fact, not. The findings led Governor Jerry Brown to sign a bill in September that requires law enforcement to notify individuals whose names are added to CalGang, unless it can be shown that providing that disclosure would impact an ongoing criminal investigation. 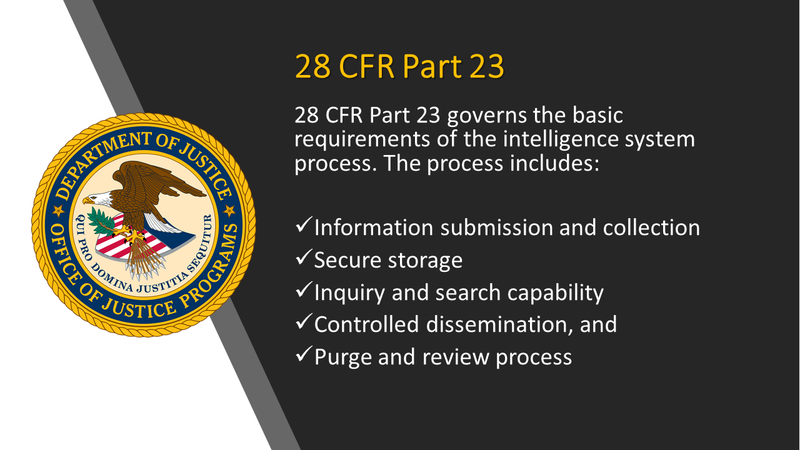 28 CFR Part 23 was designed as a regulation specific to multi-jurisdictional criminal intelligence (gang database) systems that receive federal grant funds. It is an excellent guide for intelligence agencies, as it attempts to fairly balance the intelligence needs of law enforcement with an individual’s rights to privacy. Followed appropriately, 28 CFR Part 23 guidelines would minimize criticism of CalGang and other intelligence management systems. “This report concluded that CalGang’s current oversight structure does not ensure that law enforcement agencies collect and maintain criminal intelligence in a manner that preserves individuals’ privacy rights,” wrote state auditor Elaine Howle in a letter to the governor and Legislature. Of concern, the audit of CalGang also uncovered some instances where the data was used for purposes other than intended. Some agencies used the database for employment background screening, as an example. 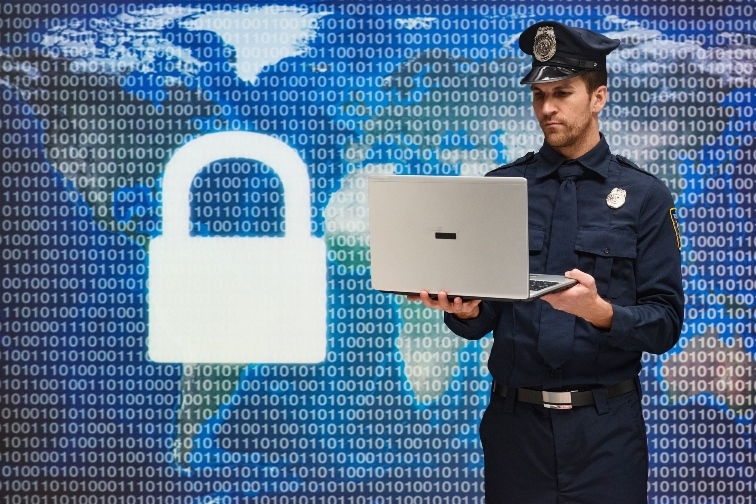 The guidelines and regulations contained within 28 CFR Part 23 work to prevent these embarrassing and potentially unlawful scenarios by enforcing strict policies related to the input, storage, and dissemination of data. 28 CFR Part 23 regulations enforce how gang and criminal intelligence data is gathered, stored, and disseminated. Data that is deemed to be irrelevant and unimportant should be purged from the system. This is true even if the data is discovered to be noncompliant before five years. Perhaps the most important element of a gang database system complying with 28 CFR Part 23 is that no information whatsoever from the database should be disseminated without a legitimate law enforcement reason, such as criminal investigation cases and charges being filed against a suspect. CalGang is an important and vital part of California law enforcement’s ability to deter and investigate gang related activities. A system this large is bound to contain some errors – both in data and judgement. That said, following and adhering to the guidelines of 28 CFR Part 23 may just prevent other agencies from undergoing such a painful public flogging. Tyler Wood is Operations Director of Austin, TX based Crime Tech Solutions (www.crimetechsolutions.com). The company develops and deploys low price / high performance software for law enforcement including Case Closed™ investigative case management software, sophisticated Sentinel Visualizer™ link analysis and data visualization software, and CrimeMap Pro™ advanced crime analytics. The company also develops the popular GangBuster™ gang database, and IntelNexus™ criminal intelligence software for 28 CFR Part 23 compliance.